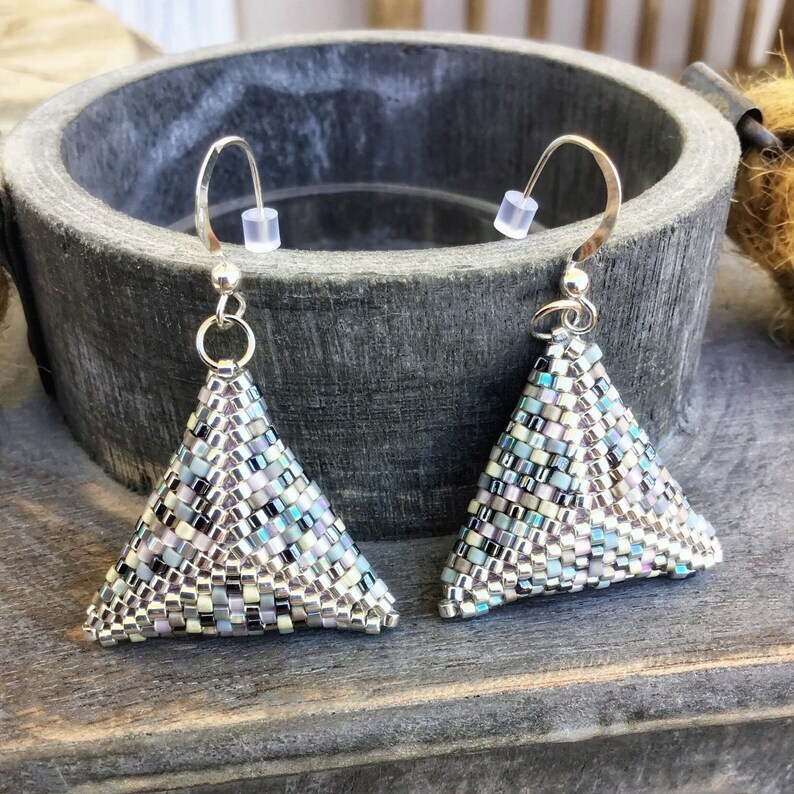 This listing features a pair of puffy Triangle Earrings, made of glass seed beads in multi grey hues. Very cute and very lightweight. They can easily accompany you all day long, from the office to a dinner date. 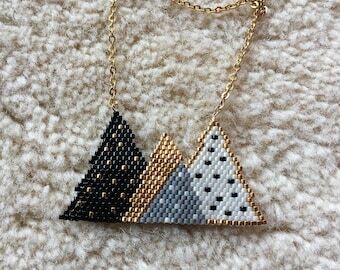 Multi Grey puffy Triangles have been designed and crafted by me with love, care and inspiration, using premium quality Japanese glass seed beads, in mix grey and silver hues. The silver color beads are beautiful luxury beads, silver plated with a shiny metallic finish. A highly durable thread has been used for weaving. The inside of the triangles have been filled up with cling film, to maintain their puffy shape. The earrings dangle from Sterling Silver 925 ear hooks, which come with silicon stoppers. 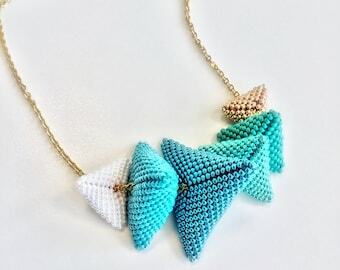 If you like the design but prefer other color combination, please feel free to conduct me. I can make them even longer by adding a piece of silver colored stainless steel delicate chain, like the ones in the last picture (total lenght excl. ear hooks is 7.5cm - 3 inches). 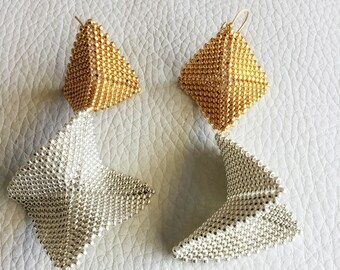 I can also make them post earrings.